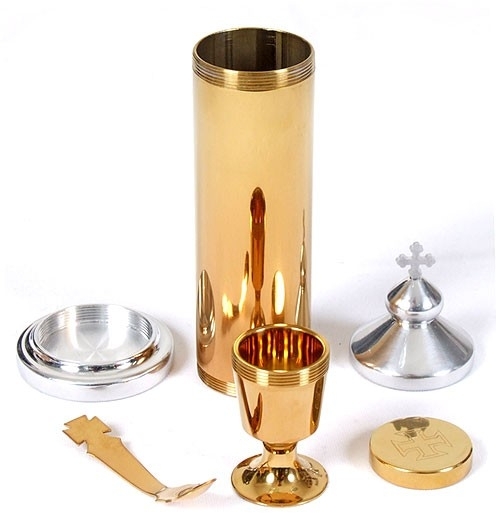 Hand-made communion travel kit, includes small cup and spoon. 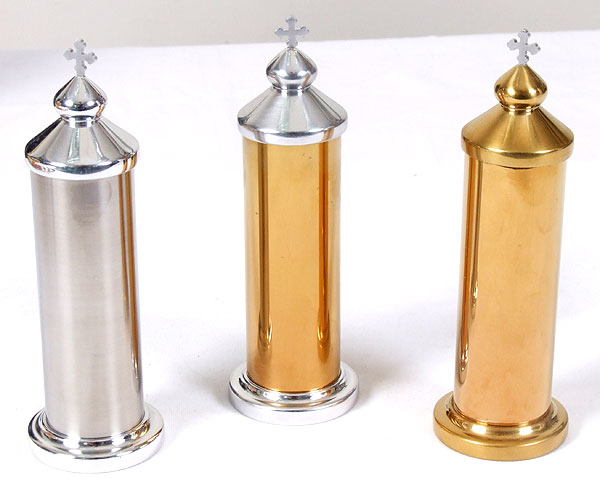 Brass, optional nickel-gilding. Size: 1.9''x5.8'' (4.7x14.7 cm).